During the first Conversations with Scientists of the 2017 Yale Ciencia Academy (YCA), scientists in research careers talked about their experiences applying for and getting a postdoc, as well as shared practical advice and strategies that helped them during the process. The panelists were: Dr. Reyna Martinez de Luna, Research Scientist at SUNY Upstate Medical University; Dr. Janitza Montalvo-Ortiz, Postdoctoral Research Associate at Yale University; and Dr. Manuel Navedo, Associate Professor at the University of California, Davis. Watch the conversation and read a summary put together by 2017 YCA Fellows Victor Aguilar, Simara Laboy and Aileen García-Vargas below. A person holding a PhD who is engaged in additional research and scholarly training to develop the skills necessary to continue into a job or career of their choosing. A postdoc will give you far more independence (and freedom) that being a graduate student. A postdoc is necessary for many academic positions. It can also be used to build skills/experience for non-academic positions. Whether you need to do a postdoc or not depends on what career you want to pursue. Find out whether or not the career path or job you want to pursue requires or recommends doing a postdoc. 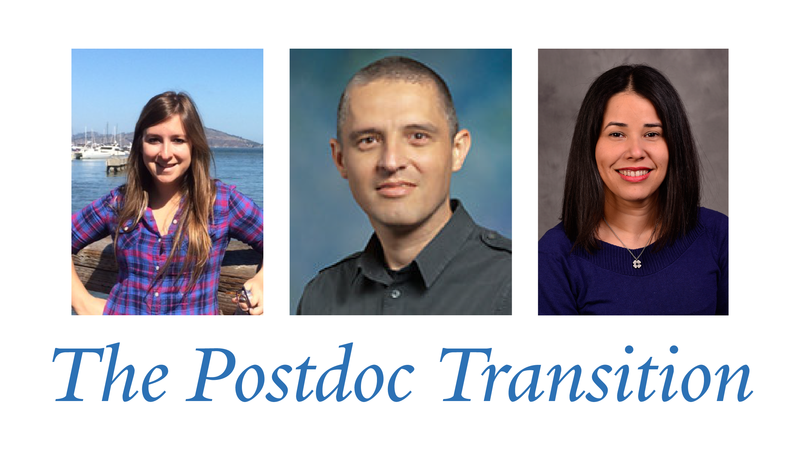 Postdoctoral positions are not only available in academia, but also in industry and some non-academic environments. Wherever you go the post doc is a training position, but your experience will depend largely on the environment. For example, in some labs you can have a lot of freedom. In others, you may have to focus on certain tasks or projects. You’ll be expected to be more independent and be able to plan your experiments, have backup plans if something doesn’t work, have your own hypotheses, etc. A postdoc can be the first step towards an independent career. This is almost always the case in academia. A postdoc give you the opportunity to have enough data, experience, and (sometimes) funding to apply for faculty positions. What is the ideal timeline for searching a postdoctoral position? Start looking for postdoc positions and contacting potential postdoc labs at least half a year to a year prior to your expected date of graduation. The process is often open to negotiation. You can negotiate many aspects of the postdoc from starting date to salary. It’s essential to start a dialogue with the PI way before you apply for the postdoc position. It helps you understand what will be required from you and what you may be able to get out of the opportunity. It is OK to switch fields for your postdoc (many people do so). Make sure you know can articulate how the expertise you earned during your PhD can be applied to different questions, how the new techniques and strategies you will learn will help your career plans, etc. Check out the CienciaPR.org Message Board. Postdoctoral positions and opportunities are constantly being posted there. The NIH has a funding mechanism (F99/K00) to help graduate students transition into postdoctoral positions. Other funding organizations like HHMI also have postdoctoral grants and fellowships.